COUNTRY STABLES IS PLEASED TO ANNOUNCE; WE CAN OFFER YOU HORSEBACK RIDING LESSONS! Western riding is a style of horseback riding wich evolved from the ranching by the Spanish Conquistadors and both equipment and riding style changed to meet the working needs of the cowboy in the American West. American cowboys needed to work long hours in the saddle over rough terrain, sometimes needing to rope cattle with a lasso. Because of this necessity to control the horse with one hand and use a lasso with the other, Western horses are trained to neck rein, which means they need to change direction with light pressure of a rein against the horse’s neck. 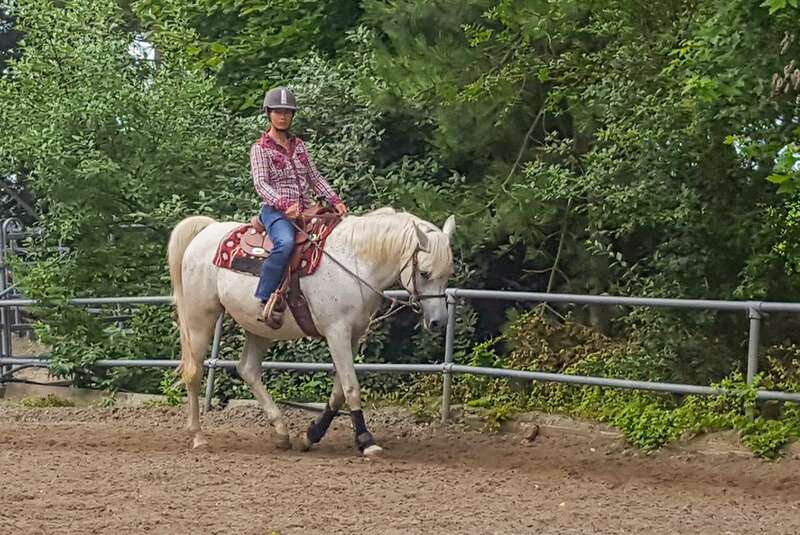 Though there are significant differences in equipment, there are fewer differences between English and Western riding than appear at first glance. 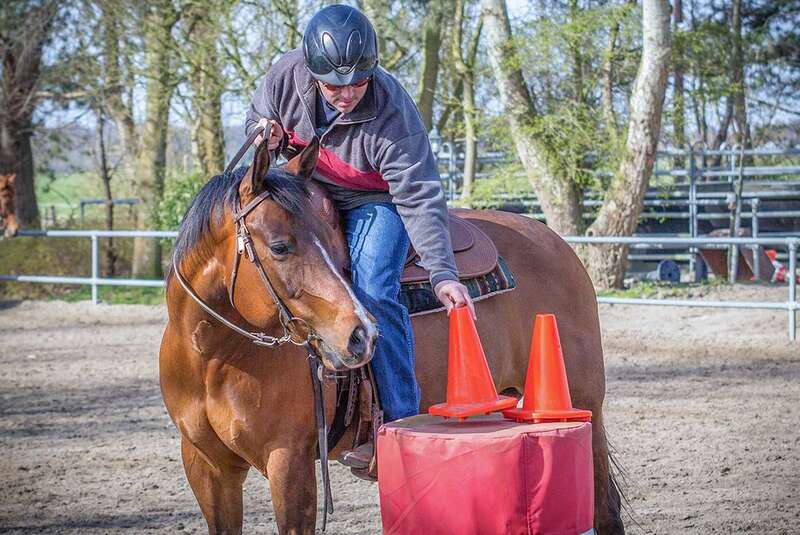 Both styles require riders to have a solid seat, with the hips and shoulders balanced over the feet and with the hands independent of the seat to avoid jerking the horse in the mouth and interfering with its performance. Lessons for kids from 6 till 16 years old and adults. In a group for kids ( with a maximum of 3-4 children). In a group for adults (with a miximum of 8 adults. Private lessons for two (children and adults). Private lessons for one (children and adults). We have different age groups for children and different levels. With these small groups the children find it easier to learn more as they recieve a lot of attention. There are a lot of other options, for more information about prices and lessons please call/email us. 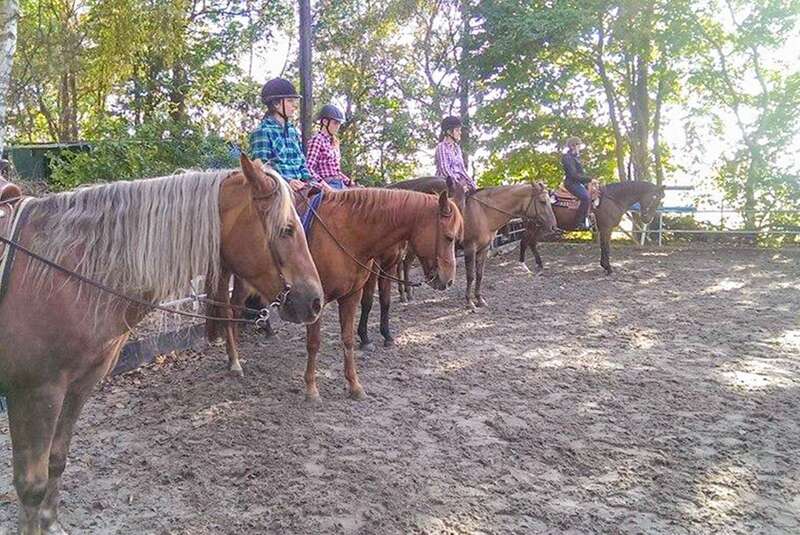 Here at Country Stables it is our goal to get you acquainted with the western way of horseback riding in a fun and enjoyable way. 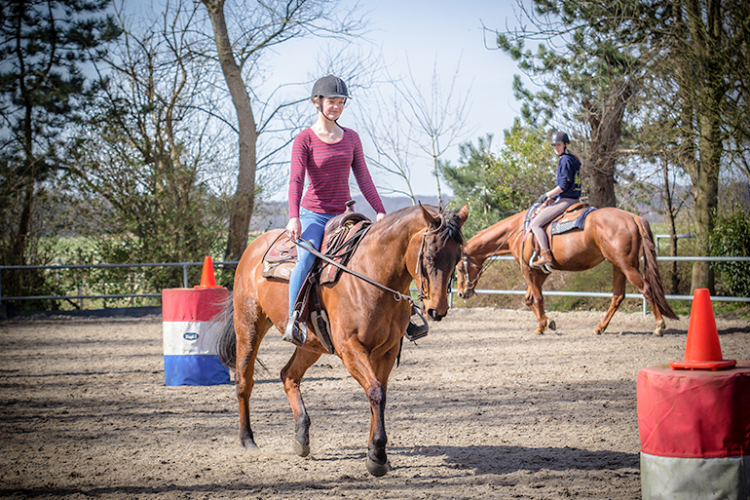 Our lessons are given in discipline ’Western Horsemanship’which focuses on working as a team with your horse. After the lesson you can make use of our cozy cafeteria with woodburning stove, coffee and drinks. Warning: We have a cancellation policy of 24 hours, otherwise we have to charge the class. 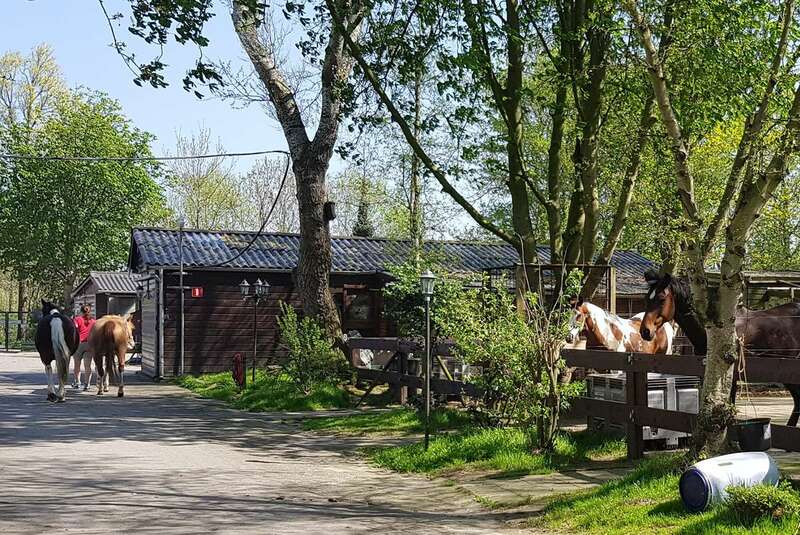 We have the following facilities at your disposal, to ensure you and your horse will feel right at home at Country Stables.